Description: 3 new factory Para Ordnance P10 Warthog mags. Holds 13 rounds of 45ACP. Stamped "MADE IN CANADA" on the body and has the Para Ordnance logo on the floorplate. The sleeve is aftermarket. Quantity discounts are available by email. I accept all credit cards, also cash, personal checks, company checks, money orders, cashier's checks, and bank checks. No credit card fee. $4 shipping. 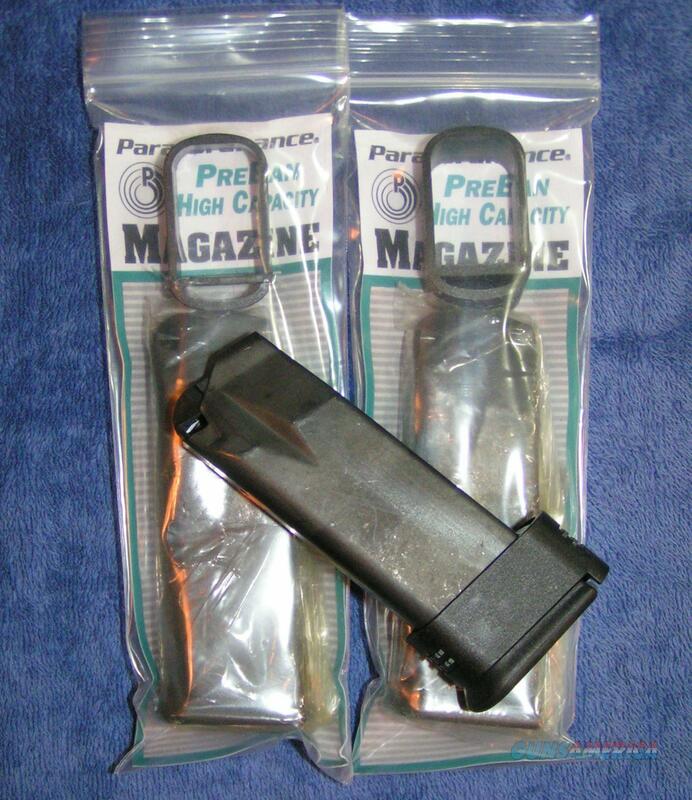 You will receive three mags similar to those in photos. More are available. Florida residents add 7%. I combine shipping.